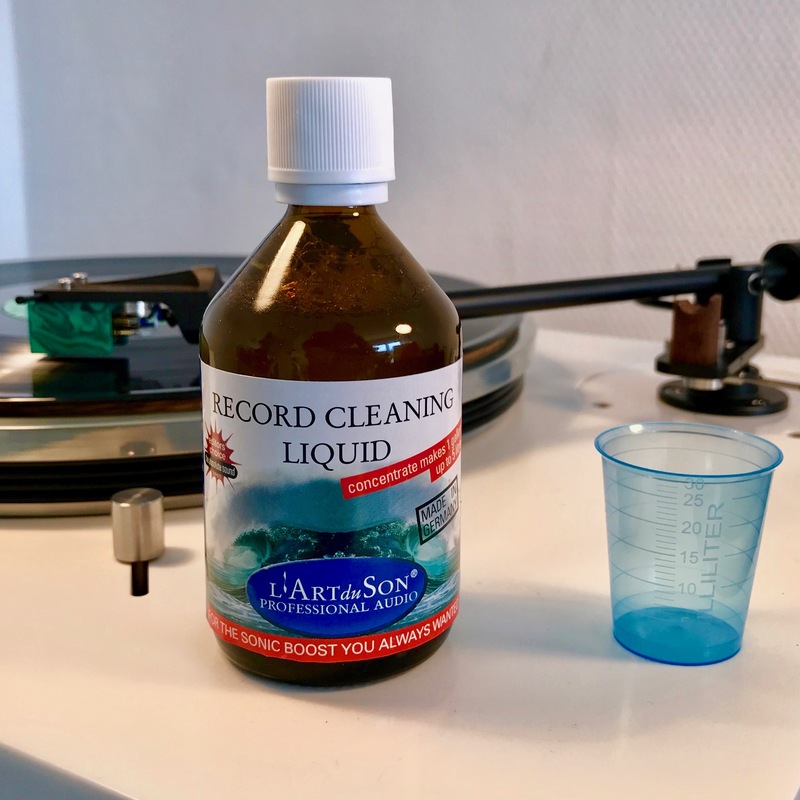 L’Art Du Son Record Cleaning Fluid offers a significant cleaning solution and sonic improvement to your record collection. This great product contains no alcohol, is non-toxic, anti-static, and environmentally friendly. Works best with vacuum cleaners such as VPI, Nitty Gritty, Okki Nokki, Loricraft and many others! Concentrate makes a maximum of 5 litres. The Absolute Sound 2005 Editors’ Choice Award Winner! 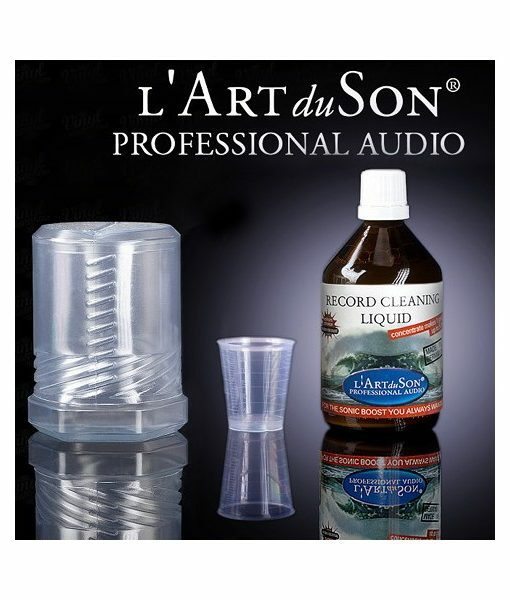 L’Art Du Son Record Cleaning Fluid offers a significant sonic improvement to your record collection. This great product contains no alcohol, is non-toxic, anti-static, and environmentally friendly. Works best with vacuum cleaners such as VPI, Nitty Gritty, and many others! Concentrate make 1 gallon (or further diluted a maximum of 5 litres). 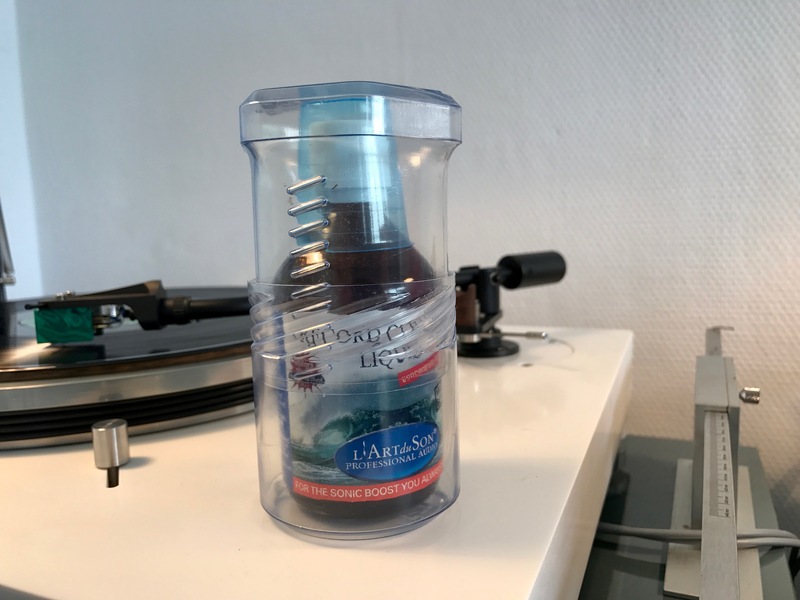 This premiere product from L’Art du Son is a new and revolutionary Record cleaning solution developed after years of research by founder and analogue devotee Martina Schoener. 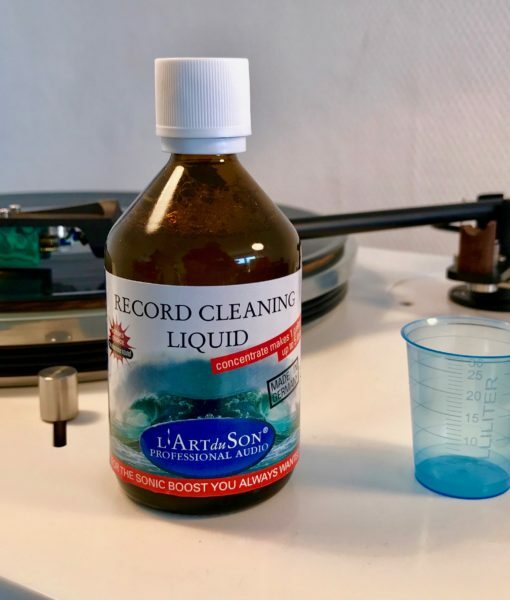 Cleaning your records with L’Art Du Son Record Cleaning fluid will assists in cartridge tracking, minimizes damage to the record and reduces static effects. During development L’Art du Son employed extensive listening tests in addition to scientific research. 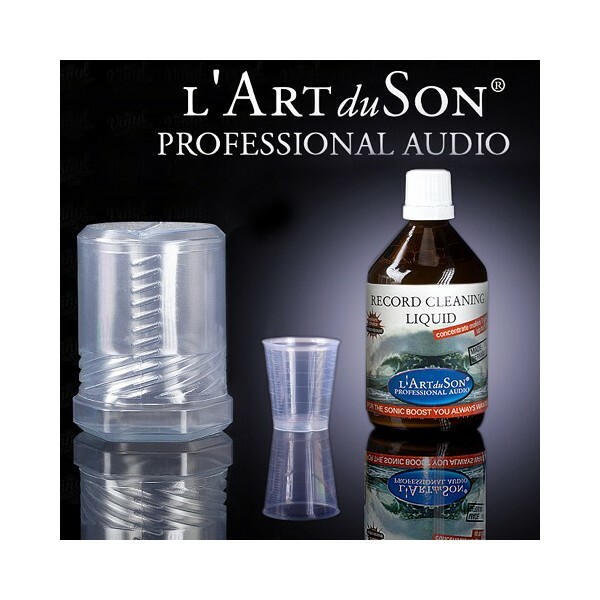 You will be astonished doing a before and after comparison using the L`Art du Son product. Your record will sound less harsh and more open than most of the isopropyl based mixtures! 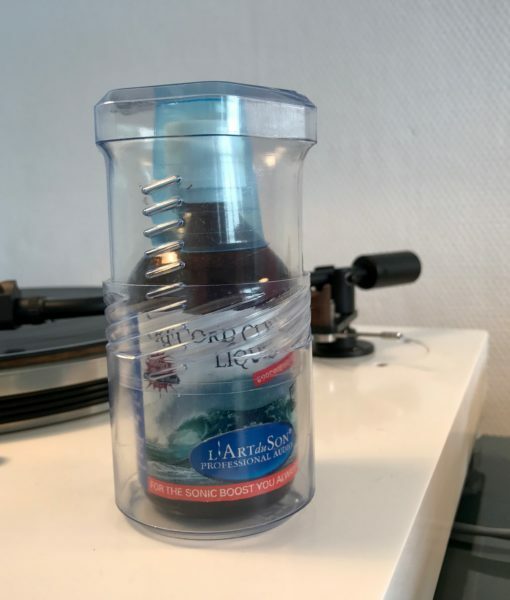 Important Note: Once you mix L’Art Du Son LP Cleaning Fluid with any Distilled Water, mixture will need to be stored in a GLASS CONTAINER ONLY! Otherwise, it is susceptible to mold growth. Keep away from light and store in a cold environment. • The liquid comes as a concentrate and is to be added to distilled water. Shake well before use! • The ingredients are biodegradable, please store the mixture at rather dark and cold places, again shake well before use! Add to 1 gallon or up to 5 litres of distilled water. During storage contents will separate, just shake the mixture to restore a uniform appearance before use. Best with vacuum record cleaners, don’t use their internal tanks! These are often contaminated with mud. If used without a record cleaner apply pure distilled water afterwards and use a microfibre cloth. Keep away from children, don’t drink!